For a leading real estate services organization like The Bozzuto Group, it’s essential to have an integrated space where each studio can interact efficiently. Bozzuto’s old offices segregated its four primary work groups, restricting opportunities for intermingling and growth. The new design adds connectivity and spaces for collaboration, while building on Bozzuto’s strong culture and reflecting a sophisticated image for the firm. 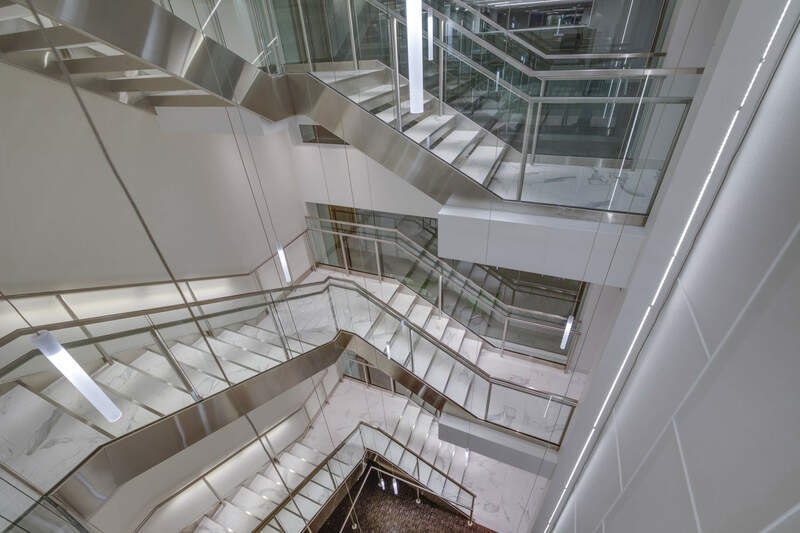 Structura worked closely with FOX Architects to provide structural engineering design for the communicating stair in the office, which the architect calls “the literal connection of all the groups and individuals that make up Bozzuto.” It also serves as a primary wayfinding element to direct traffic throughout the space.